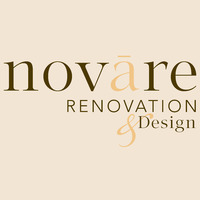 Novare Renovation & Design is a Remodeling firm in Woodbury, MN. We specialize in kitchen & baths and universal design. Respect for Past, Passion for the Future. The philosophy of Novare Renovation & Design is a simple one: We are dedicated to making the old new again within your home. Our design-build approach is to thoughtfully enhance what you have by remodeling within the footprint of your existing space. We will give your space a renewed look, and a transformation, by using the existing areas, seamlessly. Not Adding Space, But Creatively Borrowing it! W​e employ outside-the-box ideas while working within the box. We consider how the new space will blend with the old so you have a unified home with character. At Novare, remodeling means working within what you already have. With our help, you will be able to make remodeling decisions with confidence.​ Bring Passion to Each Project: Our passion is to work with homeowners interested in true quality, high standards, and value. The style of each home is a reflection of our client’s personalities, taste, and lifestyle.